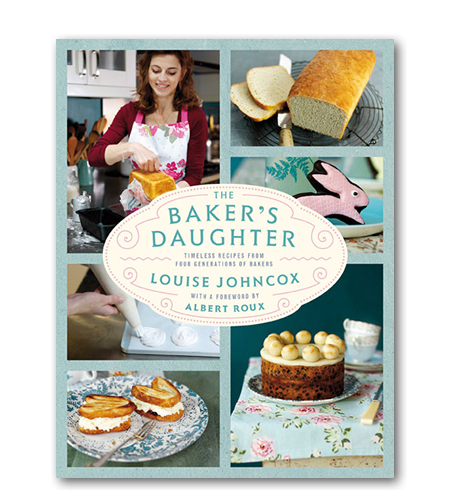 Louise comes from a long line of bakers and confectioners. As a child she would sit on a flour tin at her father’s side and eat whatever was fresh from the oven – a hot bread roll or a fluffy piece of sponge – and when her father, a master baker, retired, Louise decided it was time to capture his wisdom and baking expertise, writing down his recipes for the first time and preserving his legacy for her children. It is a beautiful cookbook, packed full of lovely stories of the family’s tea and cake shop that served the lucky people of Weybridge for forty years.